With the latest dev log talking about exploration, I just wanted to mention a common problem with procedurally generated games, and a simple (though not necessarily fast to implement) solution. Procedurally generated games have a limited number of tilesets, effects, futures, and mechanics within which they wary only superficially. As such one eventually starts to see the patterns and formulas as a mould and separate instances within that mould start to blend together. This was in my opinion one of the major points of failure of No Man's Sky, as despite the the sheer size and variation of it's universe, once you have seen a planet, a station and a space-fleet there really wasn't anything new to find. One way to solve this problem is introducing complex systems and hoping for interesting emergent properties, which is what Josh seems to be doing. What I didn't see any mention of so far is the other part of the solution. And that's the introduction of unique and rare stuff that can be found. In the case of Limit Theory I imagine a good addition would be a few hand crafted unique systems, planets, cities, stations or skyboxes. They don't need to be super interesting or in any way functionally different. Just significantly visually different and possibly interestingly named, like say creating a Sol system. Another very good idea would be adding discoverable ship systems and weapons, and I mean a truly new ones that have their own unique mechanics and visual effects, yet can only by gained through exploration or research and no AI would have them unless the player shared. P.S: Sorry for any errors or ambiguity, English is not my native language. And sorry if this was already discussed as I only follow the feed and not even all of that. Sooo... the solution to sameyness in components is to add a hard limited amount of always identical large components...? They are interesting exactly once, and then never again. Getting more components to be integrated with the other components, to expand the systemic interactions between them is a way that can produce a lot more interesting results for larger time fractions. And exponentially increasing amounts of possible interactions with each added element. Nothing interacts with each other and thus none of the variations mean anything. I don't know, Corn, what he's saying makes sense, and it's something I've thought of before. 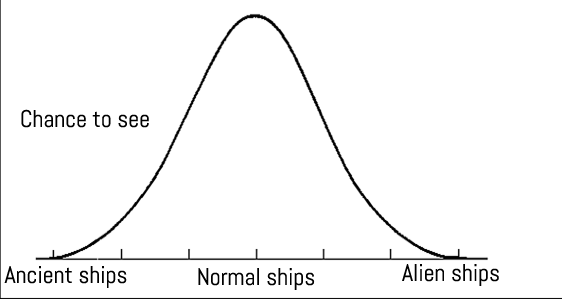 The "alien ship" generation is therefore much rarer than "normal ships" - you see them a lot less. They become interesting by virtue of being different from what's established as the norm. Do the same for star systems: Usually star systems have 1 star, but occasionally they have 2, and very rarely, 3. Usually have nebulae be fairly moderate, but sometimes have them cram-packed with stars and other times (or even more rarely, at the same time) packed with extra gaseous swirls. Do the same for everything: planets being lava worlds being rare, for instance, stations being in artistic shapes, etc. It would need to be done carefully, of course, so that the "norm" didn't feel samey too fast by itself, but if paced out properly, it would work rather well I think. For an added bonus, make the specialness of a system be worth something - make a station that looks especially intricate be in a trading hub, for instance. Then players might actively seek out more beautiful stations. That's actually pretty close to what Josh plans to do, though. Welcome to the forums, Pikalion! Glad to have you here! Don't mind Cornflakes - he's not trying to shoot you down, he just likes debates. You bring up a well discussed point on these forums "How to win the War on Sameyness". However, I think that Josh making unique, hand-crafted systems is exactly the opposite of how to accomplish this. Yes, given the extensive modding capabilities, I expect that many mods will feature lots of hand-crafted and unique objects and places, but Josh needs to focus on adding as much variety to his generative algorithms as possible. Also, please note that LT does not have tilesets. 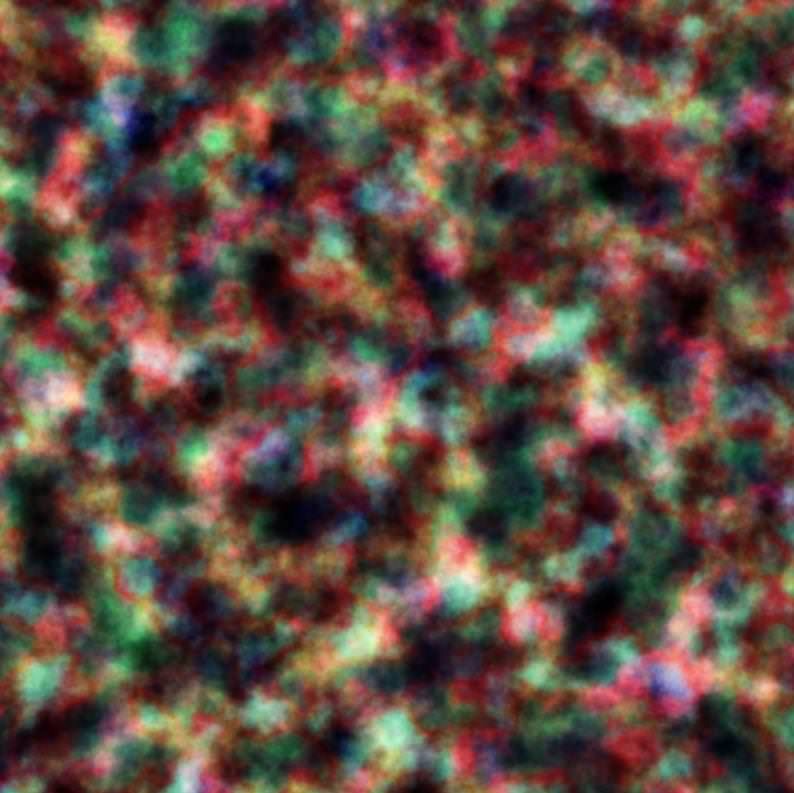 This contains 4 layers of perlin noise: Black&White, Red, Green, and Blue. All the pinks, yellows, purples, cyans and such that you see are a combination of 2 or more layers. If you imagine that the Black&White layer represents the density of star clusters, the Red represents the density of asteroid resources in each system, the Blue represents the density of planet generation in each system, and Green represents the density of wormholes in each system, then you can see that there is an enormous variety in the composition of different regions in the game. If you instead imagined that Red represents Resource A, Green represents Resource B, and Blue represents Resource C, you get even more diversity in the composition of systems. Some systems will have an abundance of all 3, some will have a lot of 1, but little-to-none of the others, and some won't have many resources at all. And that's just 3 layers of generative noise, Josh could implement dozens of layers, changing everything from nebula generation, the likelihood a system is inhabited, the % of planets that have rings, the % of planets that are gas giants, the average distance between planets, the average distance between wormholes, the rate of research progress in different tech branches, The likelihood of different Culture Vectors (Aggressive vs Passive, Individualistic vs Communal, etc. ), and so on. No Man's Sky is NOT a living universe, the AI does not respond dynamically to what resources are available. The Limit Theory AI will have to adjust their entire civilization to work within the limitations of what is locally available or what can be affordably imported and it will specialize in technology that advances more quickly and will behave differently according to their culture. And I have also advocated that Technological advancement should have variable "breakthrough rates", and that these rates should be different for different branches of technology, making research on some technologies objectively better at one point in time, while being objectively worse later on. This same principle could also be applied to resource regeneration rates, so that over a long period of time (1-1000 hour intervals) a given resource will become more or less abundant, in the same system/sector forcing the player and NPCs to adapt and change over time. The effect of all this is that there is extensive variability in different regions of the same game, while on the gigantic scales of space and enormous scales of time, the universe is much like the ocean (Overall pretty uniform and flat, but locally there can be enormous waves that are anything but flat). After all these years, I can probably count on two hands the number of posts I've quoted in their entirety. This one deserves to be quoted in full, because every part of it is a plausible perspective on Limit Theory. To address the specific suggestion in it: I've never heard Josh say he thinks some of LT's content should be hand-generated. It's a suggestion that has been made before. Long-time gamers know that handcrafted content is usually much better than anything that can be cranked out from a random number generator. But this isn't something to which Josh has committed himself -- I don't recall ever seeing any post in which Josh says that there will be any hand-crafted content that players will occasionally be able to discover amidst all the procedurally generated content. Similarly, the idea of players being able to discover ancient alien shipwrecks and obtain some (presumably high-powered) tech from them is a suggestion that has been made many times by fans, but I don't know of any comment from Josh that this is something he's considering implementing in LT. So: Many of us are in agreement with you, pikalion. But we still don't know what Josh thinks about these ideas -- we're just going to have to wait to see what the actual game looks like when he releases it. With a good implementation the universe should generate ancient shipwrecks with advanced technology as an emergent behavior. Especially with Hyperion's cyclic technology idea. And those technologies should be possible to be found by both the player and the AI. Josh has made it very clear that he will treat the AI exactly the same as the player. What this means to me is that Josh won't be creating special plot lines or hidden secrets for the player. What will make Limit Theory special will be the fact that each universe will be dynamic and that player choice will have visible affects on other AI and the system over time. pikalion wrote: Procedurally generated games have a limited number of tilesets, effects, futures, and mechanics within which they wary only superficially. Limit Theory procedurally generates its textures, meshes, and therefore content. Effects are likely generated as well, though I haven't seen a large range of them in the dev videos. All trade-able items in LT will be procedurally generated, and therefore there will be "in theory" an infinite number of them. pikalion wrote: As such one eventually starts to see the patterns and formulas as a mold and separate instances within that mold start to blend together. Unique and rare stuff that will occur as time progresses. This is content made by ancient AI civilizations that were once powerful and have since vanished, or a civilization that has lived in isolation and no one was aware of them till their discovery. This content is not hand made, and even if it was, it wouldn't be as diverse as procedurally generated content which can literally have infinite variation. pikalion wrote: In the case of Limit Theory I imagine a good addition would be a few hand crafted unique systems, planets, cities, stations or skyboxes. They don't need to be super interesting or in any way functionally different. Just significantly visually different and possibly interestingly named, like say creating a Sol system. I'm strongly against this portion of your suggestion. If players want to mod in these things later, that's fine. But I believe it would be a serious mistake for Josh and team to handcraft these things as it would be one of the few assets that wouldn't change from game to game. Instead, as others have suggested, I believe the algorithms should be varied enough where special looking things appear at what we perceive as "special" rates to keep the player interested. I have thought about it myself more than once, but my current stance is that im not sure about the bang/buck ratio of handcrafting stuff. How long is something interesting that is always the same? Its maybe fun as an easter egg, but not as a feature to keep the interest curve from falling to 0 in a game that lasts potentially indefinitely? I dont see handcrafted content as a working longterm strategy to alleviate falling interest. 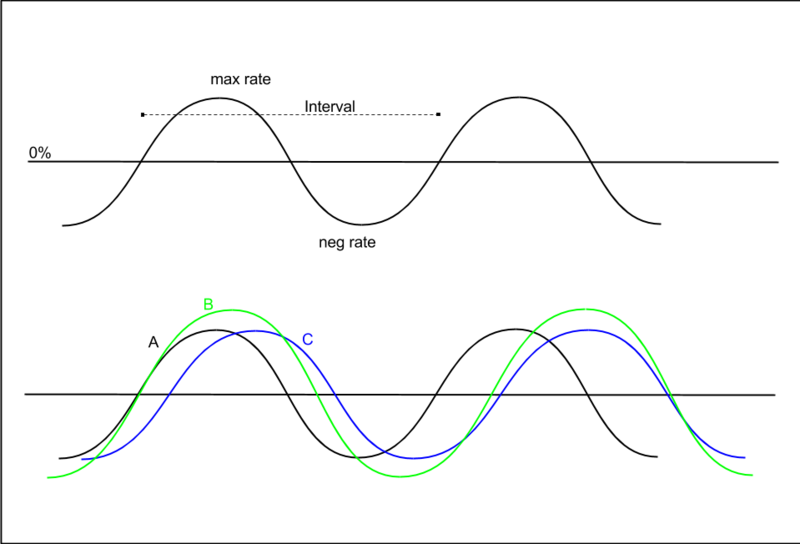 Overlapping, interacting effects and feature sets with ever new and interesting emergent effects create far more longterm interest. Its not just exploring geography but state- and interaction space. After all these years, I can probably count on two hands the number of posts I've quoted in their entirety. I can confirm this. I've only seen Flatfingers do it myself three times. He only does it when it's very merited, to say, "Hear hear!" with enthusiasm. Long-time gamers know that handcrafted content is usually much better than anything that can be cranked out from a random number generator. It's something that was discussed Here and Josh marked with "May be in 1.0" on the spreadsheet I gave him. It's still up in the air. Simply creating "zones" of variance may increase overall variety, but only by the extent of the types of zones there are. If there are three variance levels of nebula density, for instance, you are only really increasing the number of systems you need to see to "fully experience" the game by 2. Even with multiple types of layers (such as planet density, asteroid field size, etc) - each only really increases the minimum number of systems to see by 2 - they don't multiply. As soon as you see one system with a huge asteroid field, you might has well have seen all large asteroid fields: the size is no longer alien to you. However, combining that with my "bell curve" idea yields some interesting prospects: For instance, if we say that instead of just humans, we have a Human culture, a Klingon culture, and a Space Fairy culture, this increases variance by 2. If we also say that there are very rare "Ultralarge Artistic Stations" - very massive and ornate stations - that can appear, only once out of every ten systems, and that the Ultralarge Artistic Stations are generated according to their parent culture, then this multiplies with the "zones" idea, making a huge amount of variance - because the UASes would be rare enough that they would seem particularly special. It's all about balance, really. There's a game that's trying it - I can't remember the name of it, but it permitted players to create their own content (islands to explore and visit) during a pre-alpha stage, and then integrated them into the main game. Despite the handcrafted content, the tools with which this content was created were fairly lackluster and didn't provide much variance. The game feels stale very rapidly as a result. The tools used to craft content are important. It's important to have mechanics and content overlap, I think, in ways that create new content/mechanics themselves. As a (hypothetical!) example, consider two mechanics: 1. electrical cloud zones and 2. ionized nebula fog. Ionized nebula fog makes most ships' shields not work well, but it hides them from view. Electrical cloud zones do small amounts of damage to ships. Not that interesting by themselves, right? Now, two types of weapons: 1. Spacewarp Bubble Gun, 2. Capacitor rounds. SBG, we'll say, normally "warps" the armor of a ship to deal a lot of damage to the armor, while Capacitor Rounds deal electrical damage to components. To make the content/mechanics overlap, we can say that in the electrical cloud zones, the SBG simply warps the space around the projectile, making it unstable for electrical interference and creating a "shockwave" which effectively rids the area of electrical damage from the surrounding electrical clouds for a short time. Firing the SBG in the Ionized Nebula Fog causes it to gather up the dust particles and create a powerful explosion effect on impact with a ship, greatly increasing its damage. For the capacitor, the electrical cloud will supercharge it, while the ionized nebula fog will create electrical "chains" where electricity jumps from the target to other nearby ships. It's all hypothetical, but by including these new mechanic variations, you're greatly increasing the amount of things to see in the game. Instead of just "two new types of fields" and "two new types of guns", you are now dealing with not only those, but the interactions between them, which produce new and interesting things all their own. You could stack these interesting mechanics/content even further with special armor types, different types of star (pulsars for instance), or, really, anything. As another example, perhaps the rays of different stars filters through different types of nebulae in different ways, creating new visual effects. It would be a lot more fun to explore with all these interacting mechanics than if they were just put in by themselves. It's the interactivity that makes it fun to explore. And theres a difference between an MMOish game including stuff from the community and a very small handful of dudes creating content for a singleplayer game. Talvieno wrote: It's important to have mechanics and content overlap, I think, in ways that create new content/mechanics themselves. Basically what i was thinking with overlapping and interacting mechanics, yes. Ideally with some fundamental systems behind to create the effects of overlapping in a procedural way as well. Adding content and interactions would become very easy and would enable a critical density of synergies to be interesting for a long time relatively quickly. I was giving some basic examples for universe generation, I would hope that there is considerable overlap in the presence of different objects. To take your example of Electrical Cloud Zones and Ionized Nebula Fog, each of these could be in layers of Probability of being in a system at all, Quantity of them in a given system, and Size of them in a given system. This means that unless there is a high likelihood both ECZ's and INFs appearing in a system, a high average quantity of both, and a large average size of both, it would be quite uncommon to see both of these overlap and far more common to see them in a system but not overlapping, and even more common to see only one or the other. As to "Seen one huge asteroid field you've seen em all" What variability would you like to see in asteroid fields beyond variable size, shape, density, and composition? A bunch of floating rocks in space aren't inherently interesting, they are however the foundation of much of the economy. If you have ideas on more ways they could vary, I'd be happy to hear them. I'm not sure why you would want a "Big & pretty stations can only appear this often" curve. I'd much rather see it culturally based, being more like "This is the average size of stations this culture will build" and have a bell curve from there, where if the culture likes to make stations with an average size of 1km3 then most will be around that size, while some will be larger and some will be smaller. However that would have no effect on a different culture, which likes their average station to be 50km3. Culture A would consider most of Culture B's stations to be huge, but only relative to their own, while Culture B might wonder how Culture A can manage with such tiny stations. You could also apply a distance based bell curve, whereby the culture likes to build lots of smaller stations close to their homeworld, but only a few large stations out towards the periphery, serving as regional hubs. Something being special isn't wholly based on something being universally rare, it's just as much about being locally rare and unfamiliar. Helium is the 2nd most abundant element in the universe, but it's special on Earth, because it is far more rare here. Large ornate cathedrals aren't especially rare in Europe, but they're almost non-existent in North America, so when someone from North America visits Europe, cathedrals are quite unfamiliar and thus far more "special" than to the locals who consider it just another part of the area. However you're right, It's all about balance. Completely legitimate question. I've wondered about this myself, coming at it from a slightly different direction. As an aside, I've been a little surprised that few people (if any) have suggested that the "infinite universe" is something that could be canned for a v1 release. It only got a few votes on Flat's poll (mine was one). I know that it's kind of baked into fabric of LT as a concept, but if, in the process of making it happen, it present architectural issues that delay release... I'd happily see it pushed (note: not cancelled, before you all jump down my throat). I think Josh has had the infinite tech in since the earliest of dev logs. Even if he didn't, each system is infinite, and there could technically be a finite number of systems (say 30) which would be more than enough for people to happily explore. Because each system will have it's own skybox, and also it's own unique layout. Zones, asteroid fields, factions, and economies will all be part of just a portion of each system. I'm curious how multi-system gameplay differs from single system gameplay. Is one system not large enough for multiple AI cultures to develop? What if wormholes lead to different points within the same system as opposed to external points? What are the gameplay ramifications for this distinction? I've been a little surprised that few people (if any) have suggested that the "infinite universe" is something that could be canned for a v1 release. It only got a few votes on Flat's poll (mine was one). I know that it's kind of baked into fabric of LT as a concept, but if, in the process of making it happen, it present architectural issues that delay release... I'd happily see it pushed (note: not cancelled, before you all jump down my throat). I agree with this in a purely mechanical context. I don't think procedurally generating star systems is the most important feature for delivering the "be what you want" experience described in the Kickstarter. That said, I see no way that this isn't part of LT v1.0 because it's baked into the fundamental concept of "Limit Theory": no limits. A finite universe (even if that's what Freelancer had) is limited by definition; once you've seen it all, exploration instantly becomes much less valuable as a playstyle. Not worthless; there are still dynamics to be tinkered with such as research and strategic expansion (up to a point). But less valuable in the most immediate sense that physical exploration of unknown territories ceases to matter -- once your map is filled in, dragons become merely mythological. So my guess is that dynamic generation of new star systems is a non-negotiable component of LT v1.0. That's just a guess, though. I don't think procedurally generating star systems is the most important feature for delivering the "be what you want" experience described in the Kickstarter. I've always wanted to continue my roleplay of Edison Trent in a universe that is not too dissimilar to that shown in Freelancer. I have yet to see a procedurally generated anything that was as satisfying as a traditionally created something that called on the talents of artists. I'm more of an explorer type than a let's go shoot something type so the exploration element of LT is of primary importance to me. I'm still unconvinced that I will find exploration satisfying in LT but that hasn't changed in the many years I've been here. I do hope Josh can convince me. If there was even a hint of a suggestion in what I wrote above I can assure you it was unintentional. Edit: I almost forgot the original ELITE. At the time it was pretty special.